A large number of Irish were in the Continental Congress or prominent as leaders in every station of life. George Washington was possibly descended on the side of his father from a Washington who had lived in Ireland, and the side of his mother, the Balls, who came from the neighborhood of Dublin. Country Families of the United Kingdom by Walford shows that in the modern age the only families with any property bearing the name of Ball, are to be found in Ireland. The family came to Ireland in the 14th century as Flemish emigrants. It is also claimed that the De Wessyngtons were Flemish who settled about the same time in both England and Ireland. But the head of the English family died some years before the planting of Jamestown, Virginia. The members of the Irish branch have all been traced and some of them to this country. One, a son of Henry Washington, a person of some prominence, disappeared from Ireland during the troubles and probably escaped to Bermuda, where many vessels first stopped on their way to the American colonies. 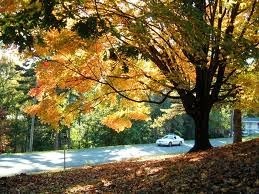 Pulaski County was formed March 30, 1839 from parts of the counties of Montgomery and Wythe. It was named after Count Casimir Pulaski, an exiled polish nobleman who fought during the American Revolution as part of the army of George. He joined the army in 1777 and became a brigadier general and chief of cavalry in the Continental Army. On October 11, 1779 Count Pulaski was fatally wounded in Savannah and died on October 11, 1779, and his fame is that of being an honored American hero. Abraham, Martha | Adair, James | A. | Allison, James | | Baithwaite, guardians | Barger, Franklin | Baskerville, George | Baskerville, John B. | Baskerville, Spencer | Beard, George W. | Bell, Peyton | Bell, William | A. | Belles, John | Bently, Henry | Black, Hugh | Black, John | Burkholder, William | | Caddall, John | Calfee, William | | Carnahan, John | Clark, Elizabeth | Cloyd, David | Cloyd, Thomas | Cook, Henry | Crawford, John | Danfer, John | Davis, Meredith | Davis, Sarah | Dill, Peter, Mrs. | Draper, Margaret | Eaton, Crozier | Eversole, Phillip | Farmer, Martha | Fugate, Jesse | Galbreath, Catharine | Gesse, William | Gifford, Harman | Glendy, John | Grass, Elizabeth | Guthrie, Elizabeth | Guthrie, Richard | Hager, John | Hoge, Elizabeth | Hoge, J. M. | Howard, Alexander | Hurst, John | Jordan, Michael | Kelly, John | Kent, David F. | King, James | Lasley, William | Mannis, Richard | McGlendy, Polly | Mennahan, Martha | Meredith, Jeremiah | Miller, James | Miller, William | Morris, Mary | Morris, Robert | Muirhead, Andrew | Patton, Henry | Peck, Joseph | Peirce, James | Pittman, Henry | Pryor, John | Raines, Richard | Rankin, James | Rankin, Mary | Safford, Adam | Sanger, Joseph | Sayers, James | . . . more . . .
Joseph Galloway, a native of Maryland, but long a resident of Pennsylvania before the Revolution, was an early and active sympathizer in the American cause until the Declaration of Independence, when he became a Loyalist. During a visit to England he was examined before an investigating committee of the House of Commons in June of 1779, and his testimony has been frequently published. When asked as to the composition of the Rebel army, his answer was "The names and places of their nativity being taken down I can answer the question with precision; there were scarcely one fourth natives of America; about one half Irish; the other fourth were English and Scotch." Thus, a fourth part was composed of some English, very few Scotch, and more Germans, or Dutch from Pennsylvania and the valley of Virginia, who formed the brigade under the command of Muhlenberg, and the Eighth Virginia regiment. The testimony of Galloway referred to his experience while superintendent of the police in Philadelphia during the British occupancy. "Do you know anything of the army of the Rebels in general, how that is composed; of what country people?" His answer was, "I judge of that by the deserters that came over." It has been estimated that about one fourth of all the American officers were Irish by birth or descent and a large number of Irish were in the Continental Congress or prominent as leaders in every station of life. It is also believed that General George Washington was descended on both sides from Irish forebearers. John Daly Burk, of Petersburg, Virginia was born in Ireland, and educated at Trinity college in Dublin. Because of his political opinions and affiliations he was compelled to leave the country (1797) while yet a student at college. He first tried his fortune in Boston, and after wards in New York. But he received no encouragement. His love for Ireland and his ardent democracy made against his success at the North, and he finally came to Virginia. Here he became the friend of Jefferson and John Randolph, both of whom encouraged the brilliant young refugee. He was a lawyer, poet, dramatist and historian, and was undoubtedly one of the most accomplished men in the state during his day. He was the author of the History of Virginia in four volumes; A History of the Late War in Ireland. 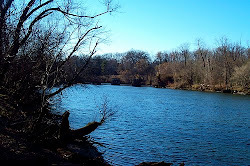 Before he completed the fourth volume of the History of Virginia he was killed in a duel with a French gentleman at Campbell Bridge in Chesterfield county, Virginia, on the 11th of April, 1808. 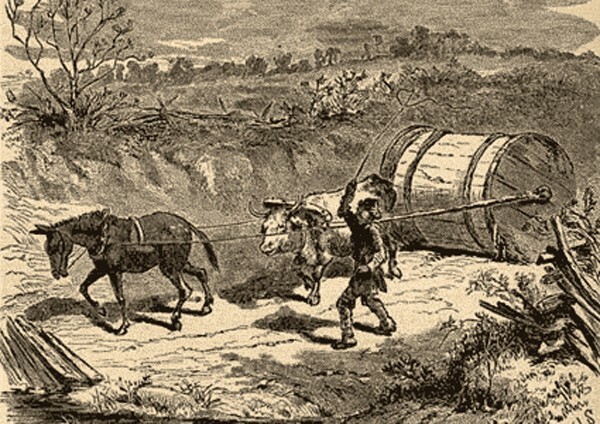 Source: Some Irish Settlers in Virginia by Hon. Joseph T. Lawless, Richmond, Virginia. Testators: Alderson, William; Ball, William;son; Barrick, Elizabeth; Bragg, Moore ; Brannon, James; Brown, Ellen ; Brown, Thomas Sr. ; Buice, William; Bulger, Jane ; Carpenter, John; Cole, John; Corrie, Hannah ; Crask, James; Crask, Sarah; Dale, Joseph ; Dobyn, Edward ; Dobyns, Thomas ; Dobyns, William Forester ; Downman, Francis ; Downman, William; Efford, Zachariah ; . . . more . . .
Asberry, George | Asberry, Henry | Asbury, Moses | Asberry, Poly | Baily, Eli | Barns, Robert | Belcher, Isham | Belches, James | Belches, Joseph | Belsches, Robert | Boston, Isaac | Bowen, Rees | Brewer, James | Brown, Isaac | Brown, James | Carter, James | Carter, Simeon | Cecil, Joshua | Compton, John | Corder, Elijah | Correl, Martha | Correl, Samuel | Curion, Hugh | Davis, Elizabeth | Davis, John | Day, William | Deenenger, Joseph | Dells, William | Deskins, Mary | Drake, John | Duskins, John | Evins, Robert | Gent, William | George, Jane | George, William | Gere, Philip | Goodwin, Robert | Griffith, William | Harman, Daniel | Harman, Henry | Harrison, Hannah | Harrison, Thomas | Helman, William | Hines, Francis | joshix Hix, Joseph | Jones, Solomon | Justice, John | Kindrick, Patrick | King, Martha | Laird, John | Lockheart, Mary | Lockler, Andrew | Marrs, Henry | Mason, French | Matney, Brooks | Maxwell, James | McIntosh, John | McNeily, James | Moore, David | Oney, Benjamin | Oney, William | Perry, George | Perry, James | Perry, John | Perry, Thomas Sr. | Perry, William Sr. | Renshart, George | Shannon, William | Smith, John | Smith, . . . more . . .
Testators: Alexander, Philip ;Allan, George ;Anderson, John S. ;Barbee, Thomas ;Baxter, William ;Bosholl, Edward ;Brent, Charles ;Brout, Hannah ;Brown, John ;Buckner, John ;Burge, Edward ;Carter, William ;Chambers, Daniel ;Chapman, Taylor ;Chinn, Rawleigh ;Clifton, Burdit ;Colclough, Rachel ;Conway, Sarah ;Cook, Fravors ;Dade, Cadwallader ;Dade, Townshend ;Dade, Laughton ;Denaugh, Morrice ;Durrcom, Benjamin; Eaves, Thomas ;Edwards, . . . more . 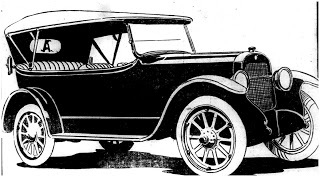 . .
Did you know that about the “Anderson Six” automobile? 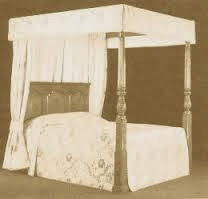 It was advertised and sold in Atlanta during 1918. Do you imagine yourself taking one of the first rides? There are so many interesting stories to learn about our ancestors. Just as we seem to speed quickly along the avenue of life, embracing new ideas and transitioning through new technology, our ancestors also had a grip on the changing fads. 1916 was the last days of Queen Elizabeth’s staunch Victorian Era, and our relatives stepped up for the changes. You don’t really think that your ancestors were boring old trolls who did little to bring out changes, do you? When tracing, it is always a good idea to read the newspapers of their times and see what was happening. Also, 8 Genealogy Websites features genealogy databases in 7 States! Why not check it out? Tradition has it that Francis Tennille Sr. was a French Hugenot from Picardy, France. 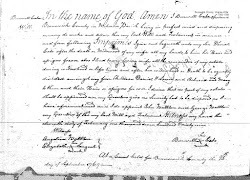 His LWT was probated 1779 in Prince William County and named all of his heirs. One of his sons served in the Second Georgia Continental Battalion during the Revolutionary War. 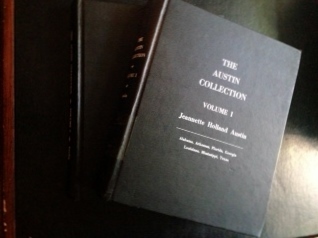 More information is found in The Austin Collection, Vol. I, by Jeannette Holland Austin and is available to members of Georgia Pioneers. Mark Thornton of Cumberland Parish in Lunenburg County, Virginia had many descendants in Georgia. The old man was born in Virginia and died 1809 in Elbert County, Georgia, leaving a long legacy of accomplished children. More information is found in The Austin Collection, Vol. I, by Jeannette Holland Austin and is available to members of Georgia Pioneers. There really was an Ole Dan Tucker from Virginia. He was the son of Robert Tucker and removed to Wilkes County Georgia where he died in 1803. 10 pages of valuable Tucker information is found in The Austin Collection, Vol. I, by Jeannette Holland Austin and is available to members of Georgia Pioneers. 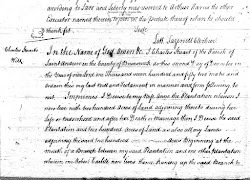 Note: Virginia Pioneers is a subsidiary of Georgia Pioneers (8 genealogy websites). Alexandria became the military port of supply. The French hostilities in the region stirred up the Indians until the government of His Majesty became sufficiently exercised to dispatch an officer of the line, Major General Edward Braddock, two warships in which were stowed a fine arsenal of powder, rifles, and cannon, and two regiments of regulars. Word reached Alexandria in February of the arrival of Braddock in Williamsburg and that he and the Governor were in conference. 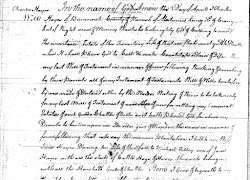 The first result of this conference was a letter to "Mr. George Washington" written on March 2, 1755, and dispatched in the person of General Braddock's aide-de-camp, Lieutenant Robert Orme, requesting the presence of Mr. Washington. A second decision reached in Williamsburg was one that resounded along the Atlantic seaboard - to call a conference of the colonial governors to consider ways and means of waging the coming campaign against the French. Alexandria was chosen as a meeting place and the day set was April 14, 1755. In the meantime, the English warships Sea Horse and Nightingale under command of Admiral Keppel arrived in Alexandria. Two of His Majesty's regiments disembarked from the sea-grimed ships and the Redcoats in formation marched to the northwest of the town led by Colonel Sir Peter Halket and Colonel Dunbar. After the exchange of several letters, Colonel Washington volunteered to go unpaid with General Braddock on the campaign. All at once the town of Alexandria was overrun with governors. From Williamsburg came Dinwiddie; from Maryland, Governor Sharpe; from Massachusetts, Governor Shirley; from New York, Governor De Lancey; and from Pennsylvania, Governor Morris. Neither dress nor ceremony had yet been curtailed by the drabness of Democracy. Each governor arrived with a retinue of secretaries, attendants, and aides; each by coach, decorated in gilded scrolls and colorful arms, drawn by four to six horses; each governor resplendent in wig and powder, silken hose, coats of brocade, velvet or broadcloth, waistcoats of satin or damask, embroidered and braided, shirts of finest linen, betucked and belaced, and attended by servants in livery as colorful as their masters. The town was crowded, taverns full and private houses were put at the disposal of these visitors. Dinners and balls followed the serious councils of the day, which lasted until eleven or twelve o'clock at night. Redcoats were everywhere. The conference over, pomp and pageantry departed, but not before Mr. Washington and General Braddock had disagreed heartily on the fashion of waging warfare. The . . . more . . .